The Red Dead Redemption 2 map is huge in size. For that reason, Rockstar have decided to allow players to fast travel to different locations around the map, although only if you’re level 65 and over. Using a Fast Travel Post, you can travel from your own camp to different locations around the map. Whilst the option is there, I haven’t been able to use it yet due to the online mode just coming out and not being level 65 yet. 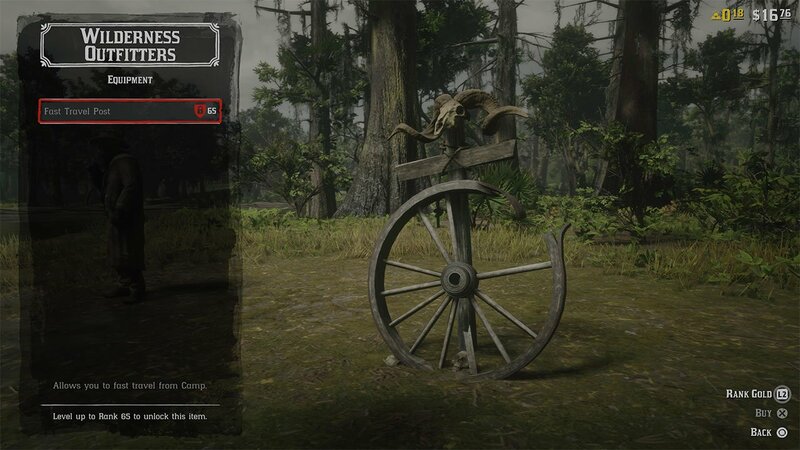 Below is a quick guide that shows how to setup the fast travel post in Red Dead Redemption 2 Online. If you want to check out some more guides for the game, make sure to check our dedicated area here. 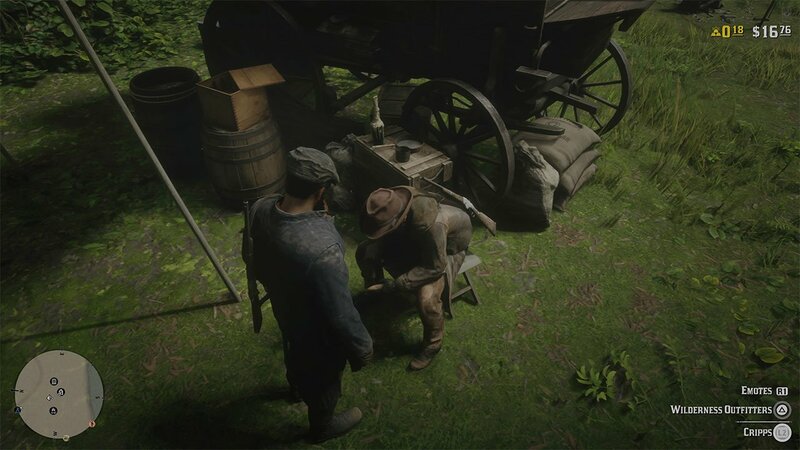 To fast travel, interact with Cripps who can be found in your camp. Your camp can be found at the blue tent icon on the map. Select the ‘Wilderness Outfitters’ option on Cripps. The Wilderness Outfitters menu will open. In here, you can upgrade parts of your camp, including Cripps himself. We want to choose the ‘Equipment’ Option. From there, choose to build the ‘Fast Travel Post’. You’ll need to be at least Rank 65 to build it, which I haven’t hit yet. Once I do though, I’ll make sure to come back and update this post.